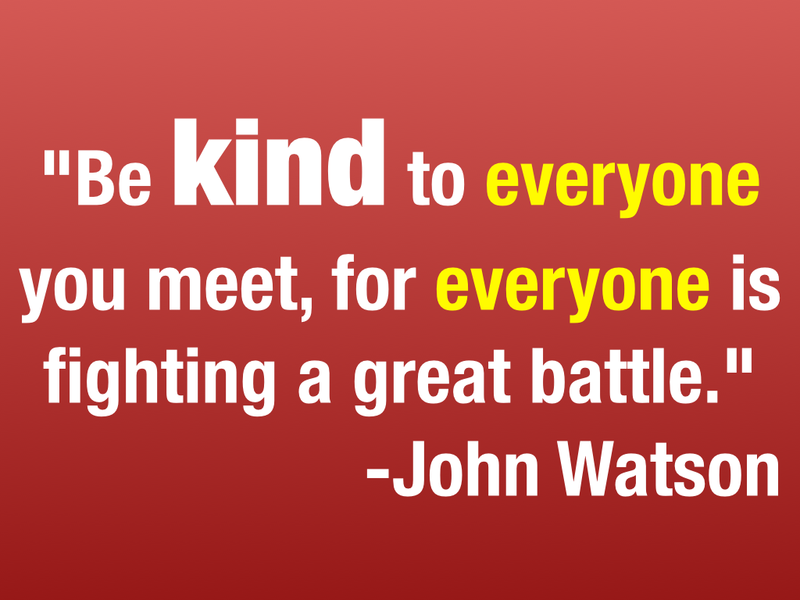 Be kind to everyone, even those who seem undeserving, who do not seem to have much kindness in them. Who knows what burden they’re bearing or what has drained the kindness from them? You don’t have to yield or give in. You can be strong and kind. But be kind if that’s all you can give. Your kindness may awaken some dormant spark of goodness that just needs a smile or gracious word.